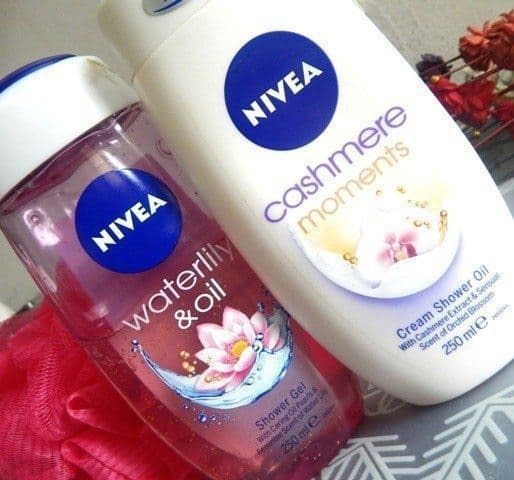 Nivea Cashmere Moments Shower Gel and Nivea Water Lily Shower Gel: are on the radar today 🙂 I love loofahs and shower gel, at a given time; I have at least 4 stacked in my bathroom. 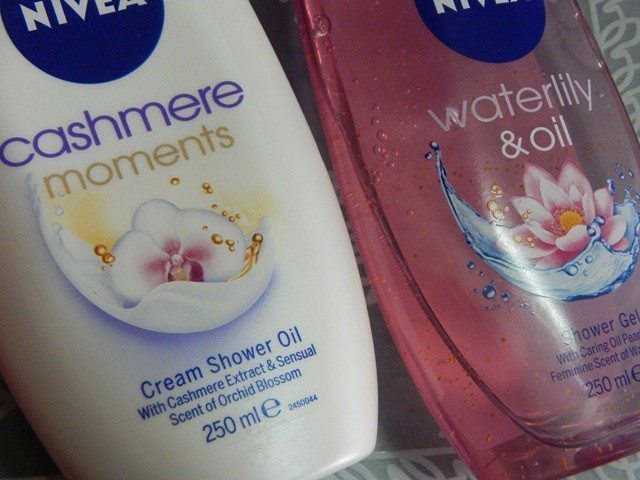 The water lily & oil was so tempting that I picked it up on a regular grocery store visit, I was halfway with it, but the cashmere moments body wash was something I picked up from Boots UK, I like them both but the comparison is so difficult. Fragrant and moisturizing shower gel. Suitable for everyone. 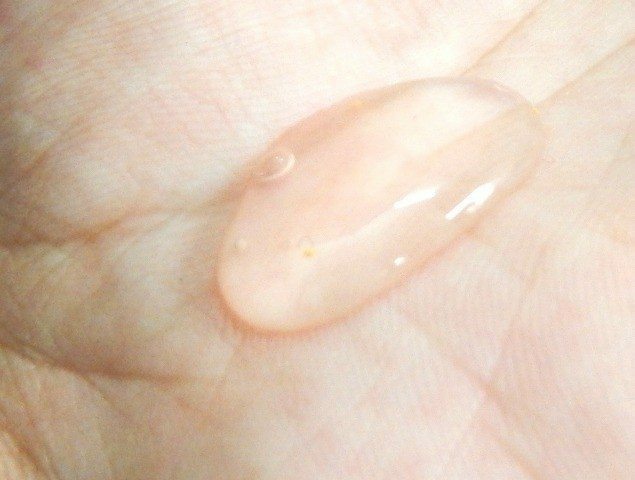 The water lily and oil shower gel is a very regular gel which many of us have used time and again, the only difference are those beads which are present, the gel is clear otherwise and lathers very much like other shower gels, I have not noticed any extra softness on my skin, so I would say it is pretty much an average shower gel, but you could try it. I picked this up solely based on the tempting name. The “cashmere” tag was calling me and the cream shower tag too. This is a creamy shower cream and lathers very well. I can say that this gives a much better silky skin than the previous one or any other gel form. But do not expect miracles. It is not a phenomenal cream shower to own, but it is definitely worth a try. This could be a good change from any other regular shower foams or gels. But do not expect satin soft miraculous skin, you may still need a moisturizer post usage. Nothing out of the box great about them. You may try them if you like, but don’t expect any miracles. Both of them seem okayish.. I loved the berry variant more than the waterlily one.. I loved the packaging..Great review..